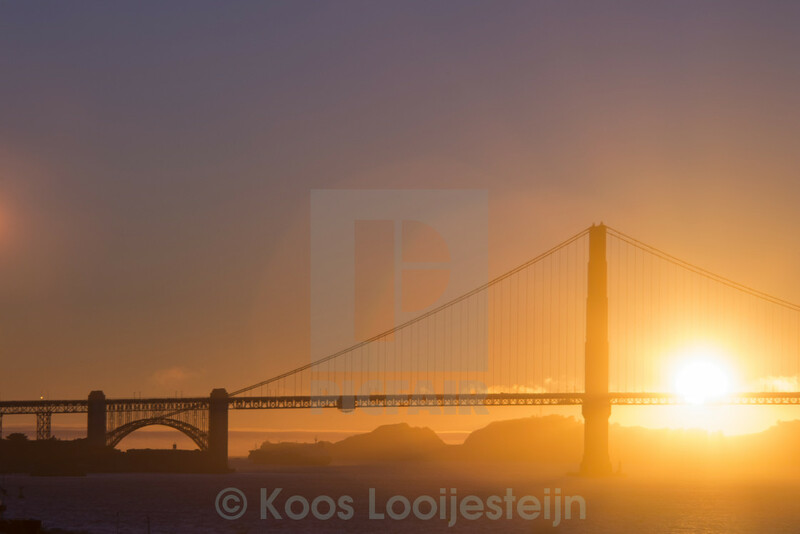 Golden Gate Bridge with the sun setting behind it. A cargo ship can be seen sailing from the Pacific Ocean into the San Francisco Bay. Shot with an uncoated Helios 58/2 lens, which created the lens flare that adds to the warm mood of the image.